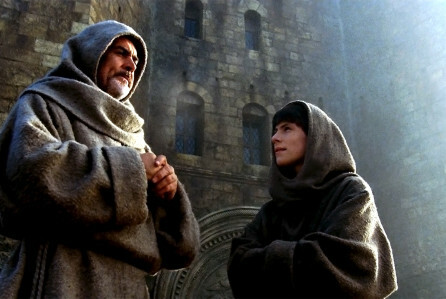 There’s a scene in the film version of Umberto Eco’s classic historical murder mystery ‘The Name of the Rose’, which stars Sean Connery and F Murray Abraham, in which a monk self-flagellates – an apparently regular ritual. The year is 1327. The location is an austere north Italian Benedictine monastery. The practice of mortification of the flesh for religious purposes was esteemed and befitting to the theological disputation that is the centre of the story. One would think almost 700 years later, such liturgical torture was left in the past, but alas, it’s making a comeback. In the absence of hard times, egomaniacal Instagram health warriors like to inflict impossible ‘health’ regimens on themselves in a bid to outdo others. At this time of year, it’s universally ‘comme il faut’ to abstain from everything that’s fun, while being nutritiously lit, but this group of obsessives are taking things further. They rise at 5am, swim in ice, lie on a bed of nails, go to the gym to do high intensity training, take nootropic drugs and mainline raw turmeric while doing kundalini yoga on a cliff edge surrounded by myrrh. All that before they start work. I’ve read that some enthusiasts take up to 30 supplements a day, from lion’s mane to volcanic ash, rinsed down with pink coconut water, which costs roughly the same as rhino horn. I took about 15 supplements in one go once, egged on by an overzealous friend. I vomited into a bin, while my daughter was having a swim lesson. So rather than rise at 4am after sleeping in a bed of goat’s milk and skiing down Annapurna with Telemark skis in a pair of cycling shorts, I’ve decided to break my loose January non-drinking arrangement with a few of pints and Marlboro Reds. I don’t like to conform to the marketer’s calendar, which instils gluttonous crazed consumerism upon us in December, followed by virtuous crazed consumerism in January. According to the Global Wellness Summit 2018, the global wellness industry is now worth €4trillion. And we don’t actually need any of it. Plus, extreme wellness is bad for your health. A recent study in ‘The New England Journal of Medicine’ found that adverse effects of supplements were responsible for an average of around 23,000 emergency department visits per year in the US. Also in the US, 50-year-old Jim McCants needed a life-saving liver transplant after taking green tea capsules in a drive to get healthy. Meanwhile, the ‘American Journal of Medicine’ found instances of ‘melting muscles’ and kidney damage amongst newcomers to high intensity training. The British journal ‘Heart’ found that people who work out too hard for too long may be less healthy than sedentary people, and are more likely to die sooner than moderate exercisers. My advice: don’t bother. Take heed from my granny, who turned 98. She survived on tea, ginger cake, and the newspapers. When you look at the death notices in the ‘Daily Telegraph’, it seems a lot of readers are 100 and upwards. Stiff-upper-lippers, they were kept alive by memories of the war, cold houses and crustless white bread. What’s most ironic about these wellness freaks is how they believe they’re doing the world a favour. They’re not. Soy farms are responsible for massive deforestation of the Amazon rainforest, the displacing of small farmers and the development of roads and dams. So next time you buy vegan soy products, have a look at where they come from. In the meantime, remember we’re Irish and obsessively doing sports doesn’t suit us.